We had a stiff 15-20 knot SSE wind all day today and it was a solid 4-6 all day. The dolphin were in think again. We ended up putting 15 in the boat. Out near ‘Columbus’ we were in an all out melee and had tuna, wahoo, and dolphin bites but the sharks were so bad they ate everything after it was hooked up. We moved out of there and finally towards the end of the day we had a white marlin on the left long and it wasted no time eating the naked ballyhoo. 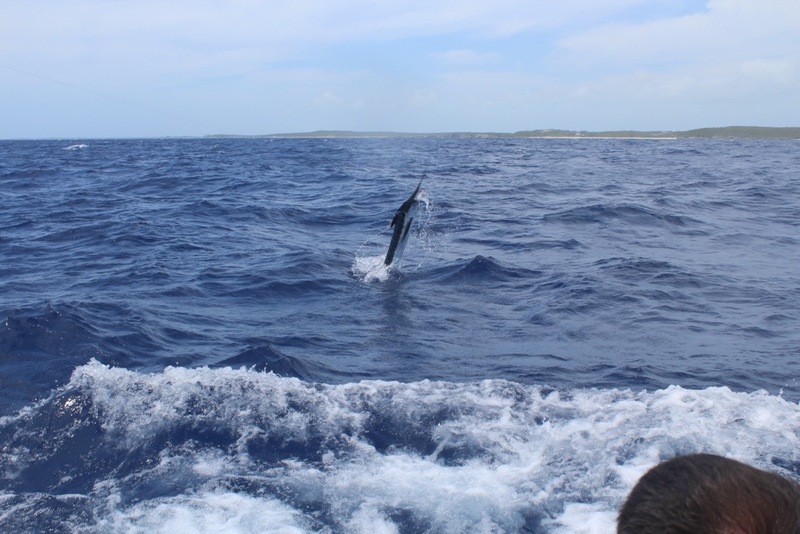 John fought that one and released his first white marlin. Another fun action packed day on Over Under.